Synopsis – What do we think when we look back on our lives? What is the mark we have left? Will we be remembered, and for what? Why are some obsessed with fame and celebrity? Are our lives empty or full? Three singers from very different vocal traditions (church choral, soul/gospel and contemporary) consider their own life stories and try to make sense of their legacies. An extraordinary theatrical sound collage follows. Yeu-Meng Chan is a much sought after accompanist and chamber musician; since studying at Oxford University and the Royal Academy of Music she has performed in most of the major concert venues in London as well as UK music festivals. Jeremy Cox has worked for dance, theatre, film and TV including several productions with the Maresa von Stockert & Tilted Co, Phoenix Dance Theatre Co and others. As a freelance sound recorder, engineer and studio producer he has worked for the London Jazz Festival, Ministry of Sound, Sean O’Hagen’s Musical Painting and John Peel’s Meltdown Festival. David Gale is a writer for performance. In the past he was co-director and writer for Lumiere & Son Theatre Company, and now he writes and directs his own plays. He is intimately connected with David Gale’s Peachy Coochy Nites. Charles Hayward was a founder member of THIS HEAT, Camberwell Now and Quiet Sun. Since then he has instigated diverse projects and CDs, most recently Clear Frame (with Hugh Hopper and Robert Wyatt) and ABOUT with Hot Chip’s Alexis Taylor. In 1998, he joined Massacre with Fred Frith and Bill Laswell. He currently performs solo with drums, voice and electronics. David Knight is a Lay Clerk at Westminster Cathedral and held Lay Clerk/Chorister posts at Southwark Cathedral, several London churches and Blackburn Cathedral. He has sung & recorded with Oxford Camerata, The Holst Singers, Gabrieli Consort and Philharmonia Voices. Melanie Pappenheim has worked with many leading contemporary composers, including Gavin Bryars, Graham Fitkin, Orlando Gough, and Jocelyn Pook. In 2008 Melanie appeared as a soloist at the Doctor Who prom, appeared in the highly acclaimed FLAM at the 2008 Tête à Tête Festival and is a member of the vocal group The Shout. Jeremy Peyton Jones has written for several theatre companies including Impact Theatre and numerous scores for Lumiere & Son Theatre Company. Commissions include works for the Balanescu Quartet, electric guitarist Tim Brady, a chamber opera for the Royal Opera House, and BBC Radio 3. His CD North South East West was voted “Best Modern Composition CD” by The Wire in 1996. He recently mounted a performance of his multiple guitar work 18 Guitars for the Multiplier series at the Kings Place. 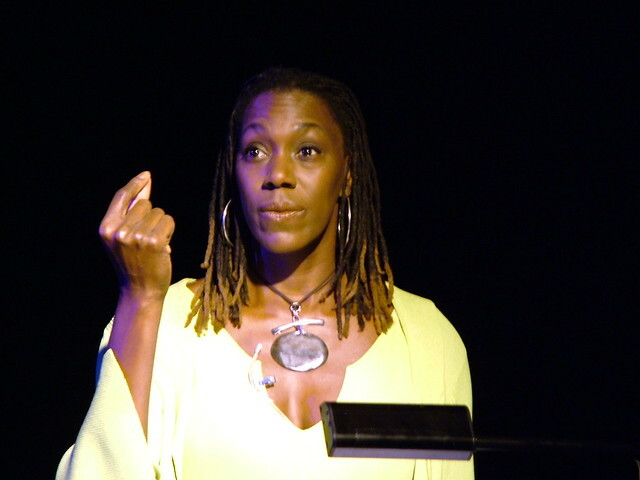 Brenda Rattray is a composer and singer of gospel, soul, jazz and improvisation. She has composed for and performed with The BBC Symphony and Concert Orchestra and has performed with The London Community Gospel Choir and Stan Tracey. Her Published works include ‘The Joy of Singing’ Faber music ’08 and ‘The smile behind the eyes. Additional support and funding from Goldsmiths University of London. With thanks to Big Box Productions Ltd.